Alien: Covenant has been teasing its premiere in dribs and drabs, so far offering up a trailer, a cast photo, a four-minute prologue clip, and 38 years’ worth of Alien movies and ancillary merchandise. To further stoke that anticipation, here is an egg. Debuting just before a second trailer hits on March 1, this new one-sheet for the Ridley Scott-directed film is stark and beautifully simple, like the egg from whence we all once emerged to eat a bunch of Marines. 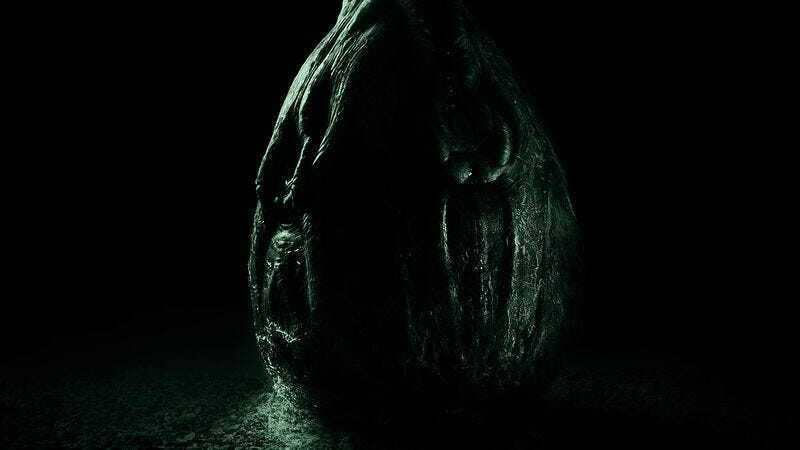 Most obviously, of course, it evokes the poster for 1979’s original Alien—though that egg, which hatched an ominously glowing green haze, was relatively smoother and arguably more delicious. By contrast, this egg is noticeably lumpy, closed-off, and angry, more like the kind you’d encounter on Twitter. “HIDE,” the text warns. Clearly, this is one bad egg. You’ll have to wait until May 19 to see what emerges from said egg. Our guess is some sort of alien.